West Yorkshire has survived its heavy industrialized past and emerged as a destination proud of its hardworking heritage and unique culture, more than happy to welcome visitors from far and wide. West Yorkshire is the heart of Bronte Country, with the landscape being the backdrop for some incredible classic literary works. The county is still used today as the backdrop for many films and television historical dramas, so rich is the heritage and history to be found here. Many of the towns and cities within the country bear the scars of their industrial past with signs of the woolen industry still visible in many city centers. Leeds and Bradford offer the visitor a true city experience while those in search of the great outdoors can enjoy the rolling beauty of the Pennine Moors. The high-speed trains from London can reach Leeds in just over an hour and a half, with the road the journey by road taking around three hours. 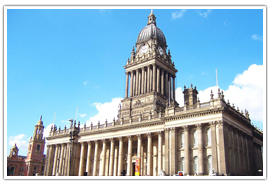 What was to become the city of Leeds was settled more than 2,000 years ago by the Romans. In medieval times it became one of the biggest centers for woolen and textile trade in the country. There are many Victorian buildings remaining in the city, built when the town was at its most prosperous. 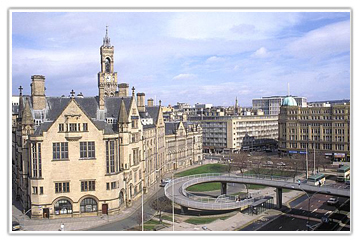 Today the city is vibrant and bustling, home to the Royal Armouries and other popular tourist attractions. 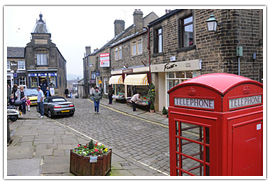 Surrounded by the vast expanse of the moors the village of Haworth has altered little since it was home to the Bronte family in the 1800’s. Every year Bronte fans flock to the Parsonage to enjoy the museum which is housed where the literary family once lived. Quaint tea rooms and gift shops and traditional inns await the visitor to this part of the West Riding of Yorkshire, making it a popular tourist destination. 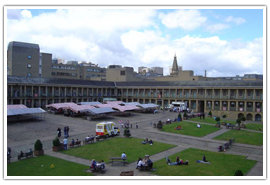 Like so many towns in West Yorkshire, Halifax owes its existence to the woolen and textile trade. It is regarded as being the most complete example of a Victorian town in England. The building which was once the main center of trade in the town; The Piece Hall is now home to retail outlets, an art gallery, and regular markets. There is an old tale which claims that the head of John the Baptist lies somewhere beneath the town, though no one knows exactly where. There are plenty of open spaces in which to spend time with the family across this part of Yorkshire. Possibly the best known of all of the Leeds parks, Roundhay offers everything you could expect from a city park. With more than seven hundred acres to explore there are woodland areas, vast expanses of open parkland, lakes and formal gardens. 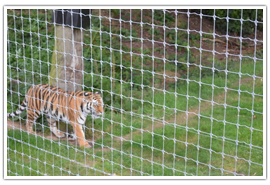 It is also home to Tropical World Zoo a popular local attraction, complete with land train and children’s play areas. The park is open daily during daylight hours. he beautiful country park of the St Ives Estate in Harden, Bradford; features moorland, woodlands and stunning wildflower meadows. Children will love the adventure playground and be feeding the ducks on the pond. Opportunities to fish in the pond can also be found here. 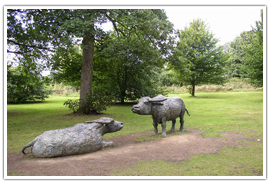 Attracting in excess of 300,000 visitors each year, the Yorkshire Sculpture Park is a different kind of open space. Listed as one of the best sculptural exhibition sites in the world as visitors can wander the 500 acres discovering incredible works of art on the way. This wonderful open-air gallery is open daily until 6.00pm. Once the most fearsome castles in England, Pomfret Castle as it was once called may not look so fearsome today. Now mostly ruined it is difficult to imagine how imposing the structure once was. The castle itself was constructed above an even more ancient Anglo Saxon burial ground and is the place where King Richard II was murdered. The ground was once used for the cultivation of licorice which is why today’s famous Pontefract Cakes still have the image of the castle stamped on them. For more information visit the Wakefield Council website. 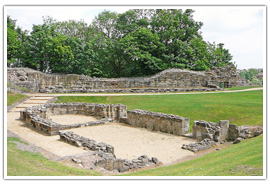 Kirkstall Abbey is located in Leeds and at the visitor center, you can learn about the history of the Abbey including how the monks used to live. An audio tour can be downloaded from their website and installed on your smartphone. Kirkstall Abbey is open from 10.00am – 4.00pm (Closed Mondays except for Bank Holidays). Visit their website for more details. 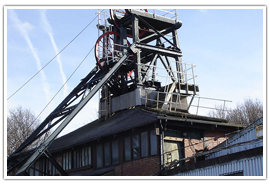 The National Coal Mining Museum for England is located on the site of Caphouse Colliery in Overton, Wakefield. It offers visitors an excellent and unique day out with the opportunity to venture deep underground in one of the country’s oldest working coal mines. There are plenty of interactive displays to keep visitors engaged as they discover all about the lives of miners across the centuries. The museum is open daily from 10.00am – 5.00pm, visit www.ncm.org.uk for more information. There are plenty of exciting opportunities across the county for the whole family to get involved with and enjoy together. Rated as one of the best attractions in the whole of Yorkshire, this wonderful wildlife park is located on the outskirts of Doncaster. It features attractions such as the Lemur Woods, South American Viva and the popular Wallaby Walkabout and Leopard Heights. Many rare and endangered species have found a home here, with many, such as the ostriches roaming free around the park. Visit their website for more details about events and visitor information. Learn to climb without the use of ropes and harnesses using natural rock steps and broken ground to make your way up a mountain. Scrambling could be described as a cross between rock climbing and mountain walking and is just one of the activities on offer from the Lupine Adventure Co-Operative based in Leeds. Visit http://www.lupineadventure.co.uk/ for more information about available activities and pricing. 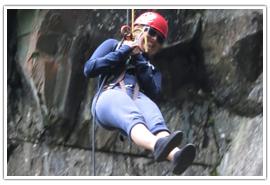 This activity is just one of one range of family-themed outdoor activities available from Another World Adventure who are located in Halifax. 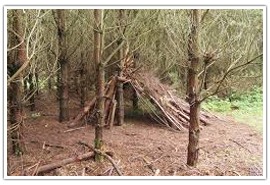 Activities can all be designed to suit the age of the group and range from basic outdoor survival skills to archery and grass sledding. Visit www.anotherworldadventurecentre.co.uk for more information on available activities. Enjoy afternoon tea in one of the many hotels and tea rooms in the county. Located in Wetherby this wonderful country mansion makes a marvelous venue for afternoon tea which is served in the traditionally styled drawing room. Guests can enjoy a selection of finger sandwiches along with freshly baked scones, cakes and an assortment of pastries for around £17.50. Afternoon tea is served between 2.00pm – 5.00pm daily. 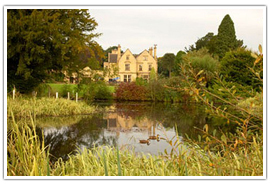 Visit the Wood Hall Hotel online for more information. 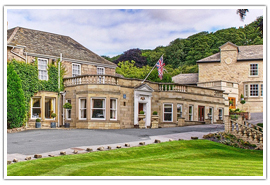 Located in Huddersfield, Bagden Hall was built during the 1860’s by a prosperous Victorian Mill Owner and has been converted into an exceptionally fine country hotel. The hall sits within 40 acres of grounds and gardens and makes a delightful place to stop and enjoy afternoon tea. 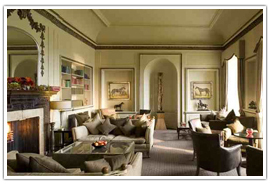 Priced at around £14.50 guests can enjoy all of the usual tea time fares between 3.00pm – 5.00pm daily. Visit Bagden Hall online for more information. The county offers some stunning location in which to celebrate your special day with those you love. Situated in Wentbridge, Pontefract; Wentbridge House was built during the 1700’s and it set within 20 acres of grounds which make the perfect setting for photographs. Crystal chandeliers and elegant furnishings make this a memorable venue. The sweeping carriageway which leads up to the priory is sure to give your guests an impression to remember. Located in Wakefield, Nostell Priory offers a stunning backdrop to anyone’s special day. There is also a pretty church within the priory grounds where ceremonies can take place. 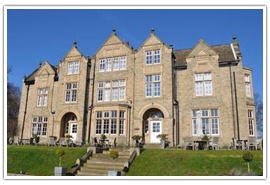 This delightful boutique hotel is located in Leeds and offers guests a stunning venue in which to celebrate their big day. Originally the home of a Victorian mill owner the mansion has been beautifully converted into one of the area’s most attractive hotels; beautifully landscaped gardens offer wonderful photographic opportunities too. 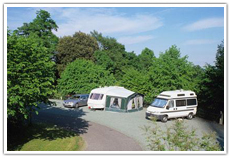 There are more than eighty different campsites in the county for tents caravans and mobile homes. • Hebden Bridge Caravan Club Site (Lower Clough Foot) – Cragg Vale, Hebden Bridge, West Yorkshire. • Mosside Certificated Site – Sandy Fourth Lane, Cowling, West Yorkshire. • Town Head Farm Certificated Site – Askwith, Otley, West Yorkshire. 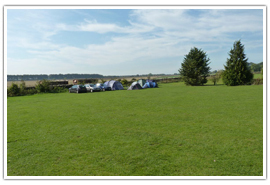 • Parkwood Activity Centre Certificated Site – Home Farm, Tong, Bradford, West Yorkshire. • RS H Southedge Works Certificated Site – Brighouse Road, Halifax, West Yorkshire. 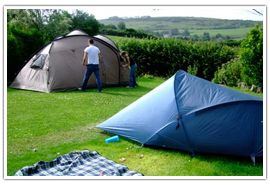 • Holme Valley Camping and Caravan Park – Thongsbridge, Holmfirth, West Yorkshire. 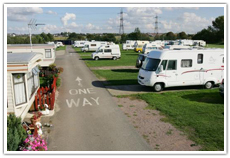 • Dobrudden Caravan Park – Baildon Moor, Baildon, Shipley, West Yorkshire. • Jerusalem Farm Campsite – Jerusalem Lane, Booth, Halifax, West Yorkshire. • Winterset Lakes – Haw Park Lane, Wintersett, Wakefield, West Yorkshire.